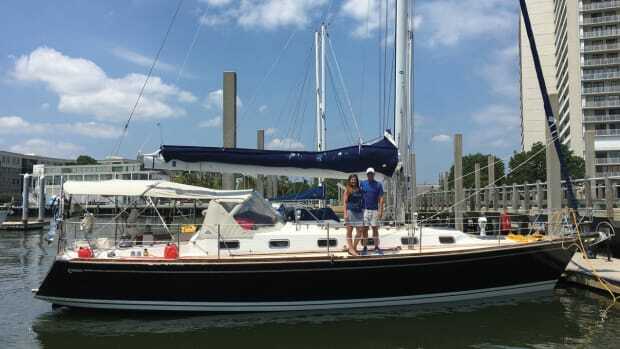 Water may be essential to life, but it can also be a pain aboard a sailboat. 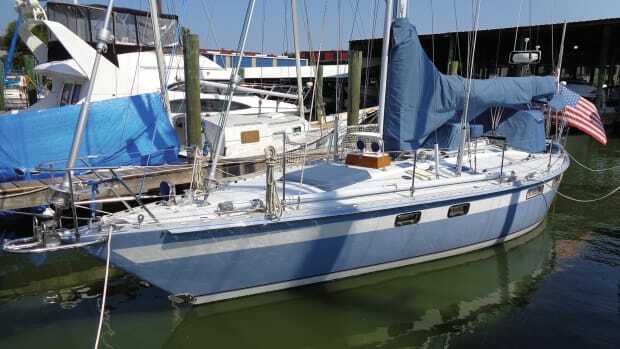 For one thing, it weighs a tremendous amount, and tankage can take up a good deal of space, especially aboard a smaller cruising boat. Water tanks can also be a pain to top off, especially in a remote foreign port. Not only do you often have to pay for the stuff, but there is the fear of its containing both organic and inorganic contaminants. 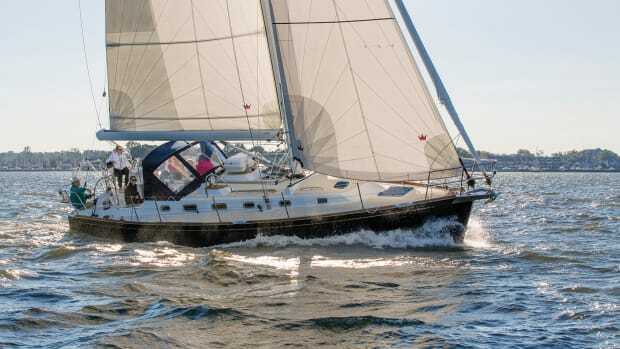 Fortunately, in recent years sailors have been able to enjoy the benefits of modern watermakers that in many ways do for water stowage what GPS did to navigation: make a whole world of problems go away with the push of a button. That said, like GPS, watermaker technology is not entirely a no-brainer. 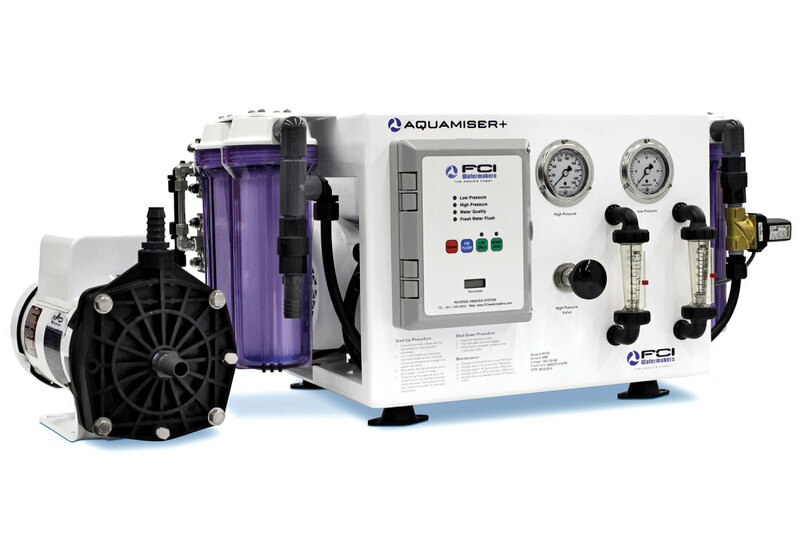 In addition to taking care of your system—running and rinsing it regularly, pickling it with biocides if you can’t, and changing the filters regularly according to the manufacturer’s recommendations—it’s important to recognize that despite their similarities, there are also some basic differences between the many models on the market that have important implications in terms of how they are operated. 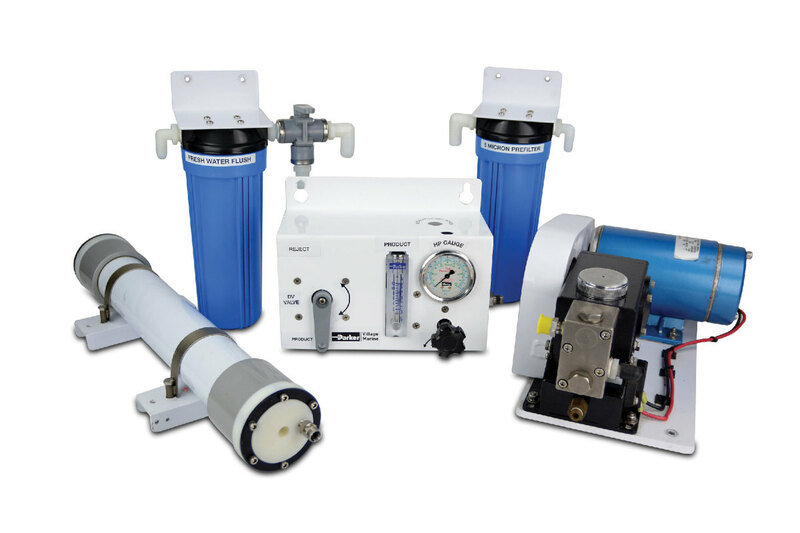 At the heart of every one of today’s watermakers is a semi-permeable membrane, which makes it possible to strip out salt and other contaminants, like bacteria, silt and even viruses, through the process of reverse osmosis. Basically, what the system does is produce freshwater by forcing saltwater into the membrane (which unlike the thin osmotic membranes in biology is actually a fairly long tube) so that water molecules can pass through and little else—thus the “semi” in semi-permeable. This, not surprisingly, requires a good deal of pressure, typically a little under 800 psi. (Those who paid attention during biology class may remember that in nature osmosis typically goes the opposite direction, with water molecules migrating toward the side with the higher concentration of impurities.) It is also not 100 percent efficient, with only about 10 percent of the water actually being made fresh and the remaining 90 percent being discharged overboard. 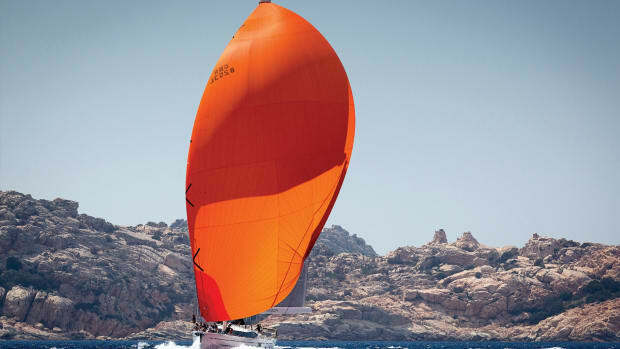 Beyond that, the basic configurations of the different watermakers currently on the market are all quite similar. As a first step, after entering by way of a through-hull, the feed water travels to a strainer, which like the raw-water filter for an engine serves to remove grit, grass or anything else that would harm either the membrane or any other part of the system. After that the feed water continues on to a booster pump, which sends it through another filter, or filters, to the high-pressure pump, whose job it is to force the water through the semi-permeable membrane. It is at this point that the different watermakers begin to diverge in terms of price, energy needs and the rate at which they generate freshwater, as a result of the precise pumping technology they employ. For example, those sailors who have neither generators nor powerful inverters on board, or who want to rely as much as possible on renewable energy sources like wind generators, hydrogenerators or solar panels, will likely go with a high-efficiency, DC electric pump, like the super-efficient Clark pumps found on the watermakers manufactured by Spectra, part of the Swiss-based Katadyn group. According to Spectra sales manager Ray Carter, the key to this kind of pump is a reversing valve that funnels the high-pressure brine water, or waste, coming out of the membrane housing to the backside of whichever one of the system’s two pistons is currently forcing new feedwater into the membrane’s other end: in essence reusing, or “recovering,” the energy that went into pressurizing the feed water a short while earlier to help propel the new feed water taking its place. Clever! 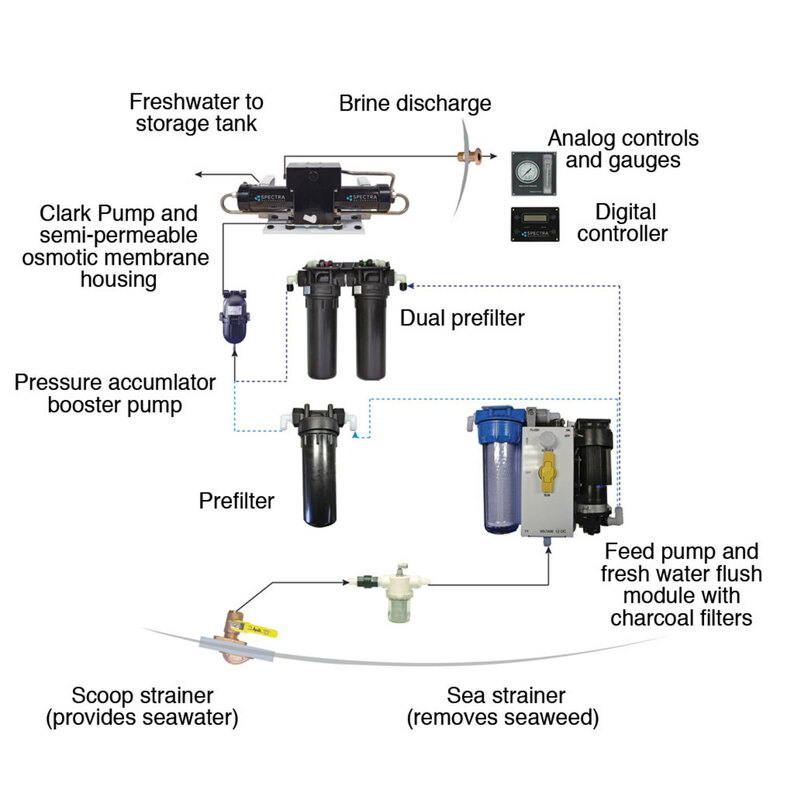 Another example of this kind of recovery technology is the RO Boost system found on some of the watermakers from Parker Hannifin Corp., including the Sea Recovery Ultra Whisper and the Horizon Reverse Osmosis Seafari Quest. The end result, according to Parker Hannifin water purification sales manager Greg Newman is typically more than a 50 percent savings in terms of energy efficiency. That said, sailors with generators who like taking showers and aren’t so concerned about weight and tankage may have a very different set of priorities. Specifically, they may want to produce freshwater more quickly than is possible with a DC system to keep up with their increased demands. They may also balk at the price for a Spectra or RO Boost system, in which case a less expensive watermaker equipped with a more conventional, 120-volt AC pumps looks increasingly attractive. 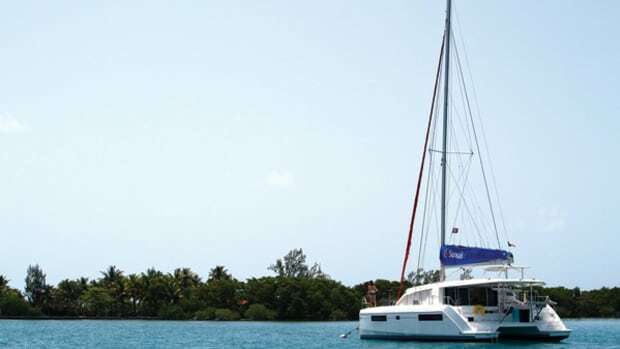 Along these same lines, Dometic reverse-osmosis systems account manager Joe Pinto says that if a boat is equipped with an adequate inverter then this will do the trick as well, especially if your water needs are relatively modest. Pinto adds that no matter what the technology, it’s important that not just the pumps but the drive motors are fully marinized as well to avoid corrosion-related problems down the road. All Dometic RO systems, for example, include motors with stainless steel drive shafts and epoxy-coated housings, as opposed to the mild steel shafts and painted housings found on some models. Yet another option some sailors may have heard of is a pump that is directly powered by your auxiliary. However, this approach is no longer widely used because the physics of an RO membrane are such that failure to provide constant pressure and flow across the surface of the membrane can dramatically shorten the life of the membrane—something that becomes highly problematic when running a pump directly off an engine that is being continually run at different speeds. According to Cruise RO Water’s Boren, figuring out a way to mount a pump on an engine can also be tough. “What sounds easily down by their dock neighbor with a harbor freight welder, really turns into a rather detailed engineering project to make sure the stress on both the engine driven pump and engine crank shaft are minimized,” he says. Beyond that, another major difference you’ll find is in the area of watermaker controls, with some systems offering a fully automated, backlit digital interface while others are more basic and require you to manually turn and adjust various buttons and valves to run the system correctly. Obviously, for those interested in ease of use, an automated approach is the way to go—although it’s going to cost you more. Some units can even be controlled remotely, via a smart phone or tablet, which in turn makes it possible for a manufacturer to troubleshoot a system from its home office in the event you run into problems. 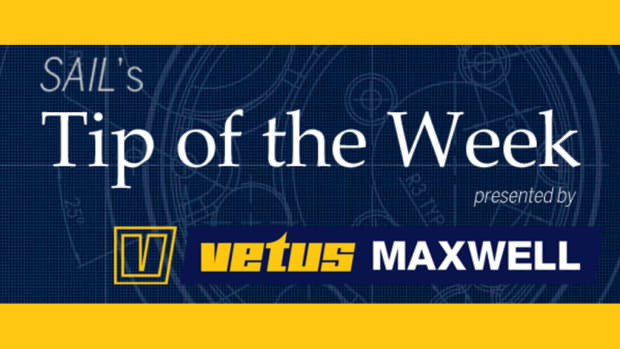 By contrast, for DIY types who like to “touch valves and read gauges,” as Bowen puts it, a more basic “manual” approach may be the way to go: all the more so because in addition to being less expensive this approach also forces you to have a better understanding of your system in the event something goes wrong. Yet another approach is to go with a basic system like the Village Marine Little Wonder from Parker Hannifin, which requires little in the way of startup procedures and also provides exceptional efficiency thanks to carefully configured semi-permeable membrane manufactured in-house by Parker Hannifin.  In terms of installation, the kinds of watermakers that work best with the typical small or mid-size cruising sailboat are those that are fully modular—i.e., in which the filters, strainers, pumps and semi-permeable membrane are all installed separately in whatever kind of an arrangement suits your boat best. According to Bowen, there are no real limitations in terms of where or how these different components are arranged—inside cabinets, behind bulkheads and even in the engine room, if necessary. However, you will save yourself a lot of headaches down the road if you put components like filters, which need to be serviced regularly, where you can get at them easily. Carter adds that a short run with correctly sized wiring is also important to minimize voltage drop and thereby ensure your main pump works efficiently. The semi-permeable membranes found on today’s watermakers are rated to work in temperatures up to 120F, which means they will do fine in your boat’s engine space. The fact that they contain water and are continuously receiving a fresh supply of the stuff when in use only makes them all the more heat tolerant. For those with larger engine rooms, there are models in which the entire watermaking system is housed in a single, easy-to-install frame. Simply bolt the thing to the deck connect the hoses, and you’re ready to go. Many models can be ordered in either a modular or frame-based arrangement, while yet another option is the Dometic approach: in which the systems arrive in frames but can then be easily broken apart into their modular components for the ultimate in installation flexibility. Note that whatever approach you take, for those who plan to generate freshwater in contaminated harbors—as opposed to just offshore where the water is much cleaner—it often pays to go with more than just a basic system. 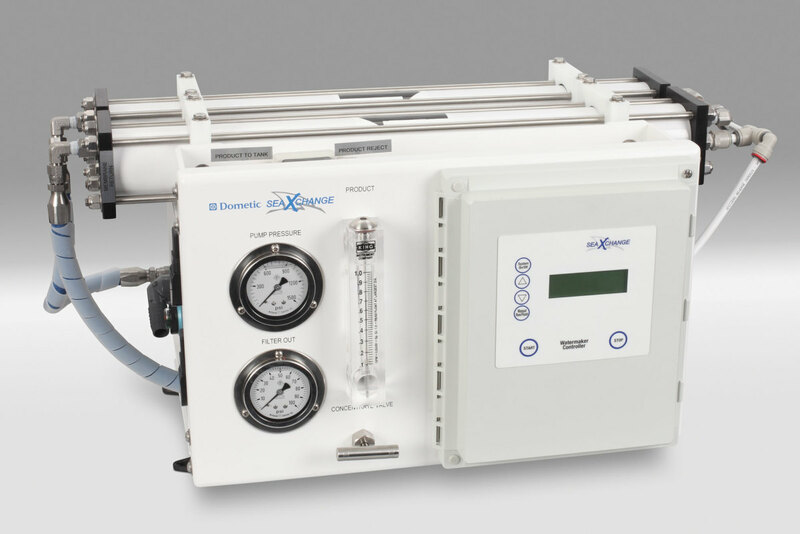 Specifically, you will want to include things like an ultraviolet sterilizer and additional filters and strainers to prevent contaminents like oil and other chemicals from getting into and possibly ruining the osmotic membrane. 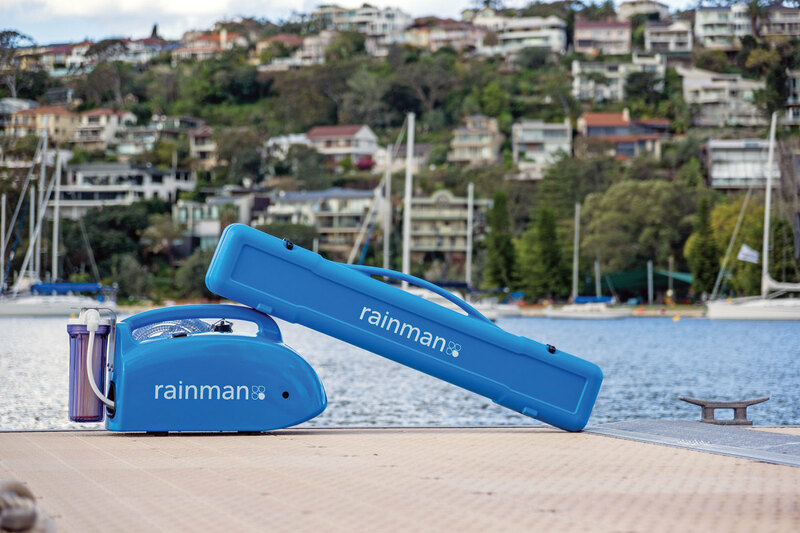 Yet another option is the new Rainman from Australia, an ultra-compact portable watermaker that is comprised of two separate modules—a reverse-osmosis unit and either an electric or gasoline-driven pump—both of which can be simply tucked away in a locker when not in use. Of course, the down side to this approach is that you have to dig the thing out and set it up all over again every time to you want to make more water, as opposed to just pressing some buttons or turning a valve. Finally, there is the question of capacity. Although even a smaller system may seem profligate in its ability to produce 150 or more gallons of water per day, it’s important to remember that you will likely only be running your system an hour or two at most. Fortunately, according to Parker Hannifin’s Newman, that gdp specification is easily scalable, so to figure out a unit’s hourly capacity simply divide by 24. For example, the aforementioned 150 gdp unit will produce about 6 gallons per hour—about the daily minimum for even the saltiest of sailors. A much larger 600 gdp would produce about 25 gallons in an hour. Beyond that, to determine the capacity that works best for you, Newman suggests you first figure out you own daily needs (accounting for the fact that once you have a watermaker at your disposal you’ll likely start using more!) 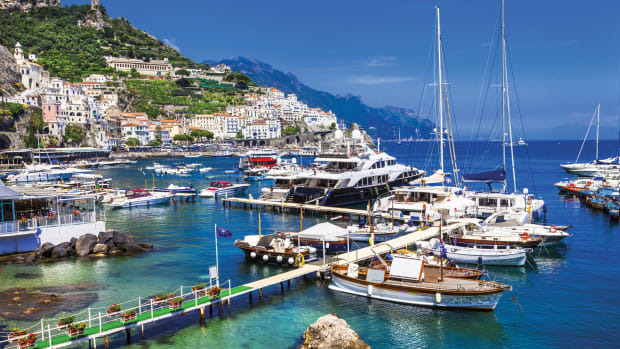 your budget and your boat’s available space. Also, be honest with yourself in terms of how much you typically run your engine or generator: like a generator, a watermaker inevitably makes some noise and if you prefer silence, then it could become a burden. That said, if you’ve got a generator running anyway to power, say, your onboard AC, it won’t be a problem.